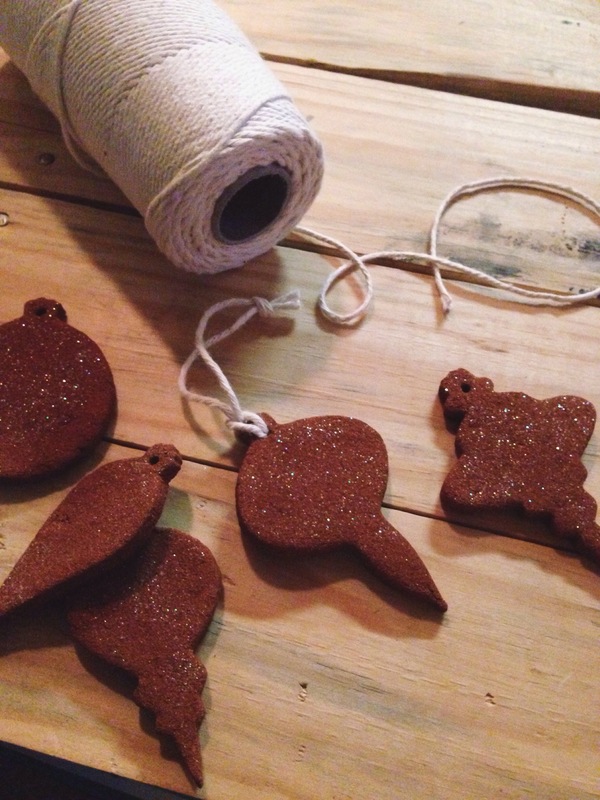 I love making these cinnamon ornaments every year, they’re easy to create and they make the house smell so festive! 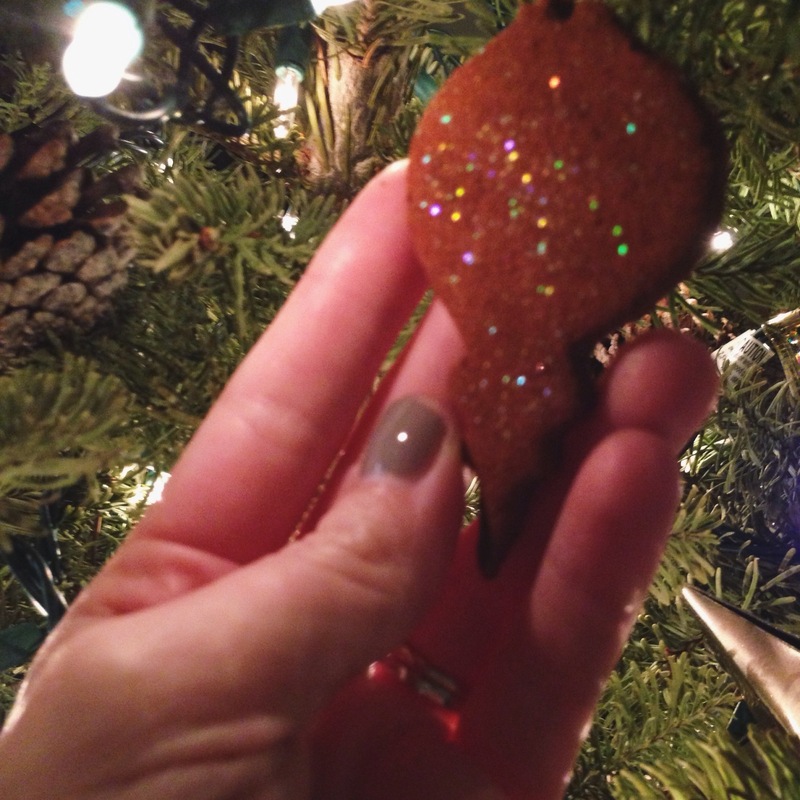 The classic cinnamon ornament recipe is so simple, just two ingredients. This year I decided to change it up a little bit by adding glitter. 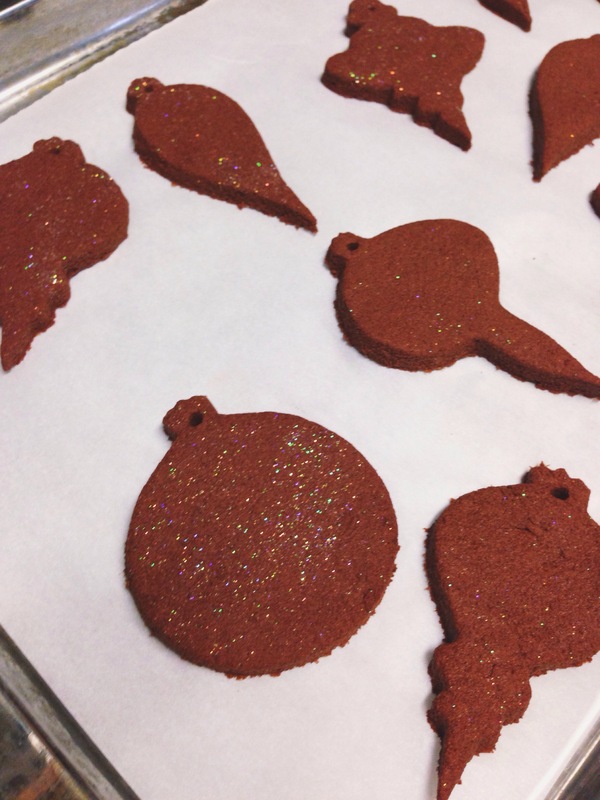 I used very fine, colorless, shimmer glitter to give these ornaments some sparkle. I had a bit of hard time getting the shimmer to show up in my photos, but they’re really so pretty! String these ornaments together to create a festive holiday garland, or use them as spicy scented tags for Christmas gift packaging. In a small bowl, mix together applesauce, cinnamon, and glitter until a dough ball forms (a little more applesauce can be added if dough is too dry). Roll out the dough to 1/4-inch to 1/3-inch thick. Cut with cookie cutters. Make a hole at top of ornament with drinking straw or toothpick. 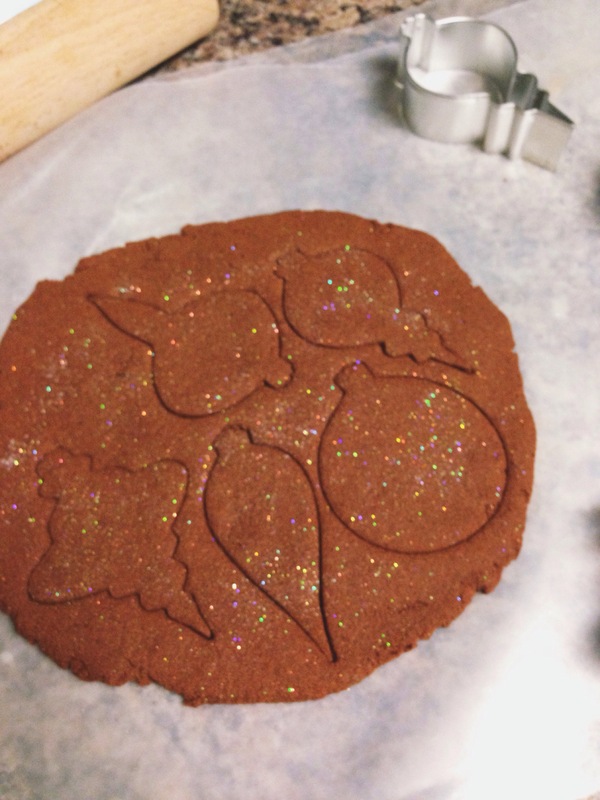 Place ornaments on a lined baking sheet. Bake at 200F for 2 1/2 hours. Let cool, then thread twine through the ornaments and hang. I hope you try this shimmery spin on an old favorite! 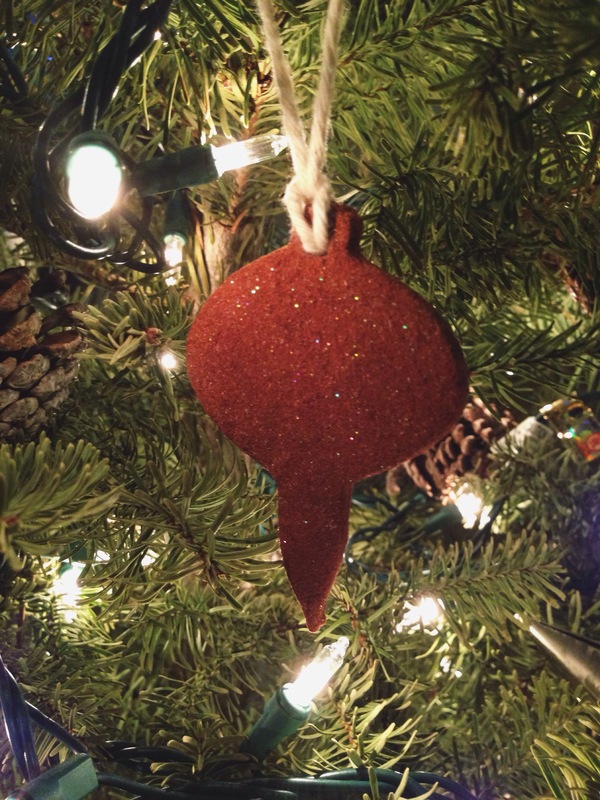 What holiday projects do you look forward to every year? Thanks Jewels! It’s one of my favorite scents at this time of the year too! If you are in the mood for some holiday baking… but don’t want the temptation of holiday baked goods… try making these cinnamon ornaments instead! Love the idea of using glitter in the mix as well to not only add a nice scent to your christmas tree but also some bling-bling! Thanks, been looking for this recipe today. After all these years your mother’s still had a cinnamon aroma. How long do these last? Must you throw them out or can you keep them?? I’ve found that they keep well for years, as long as they’re stored carefully so that they don’t break!